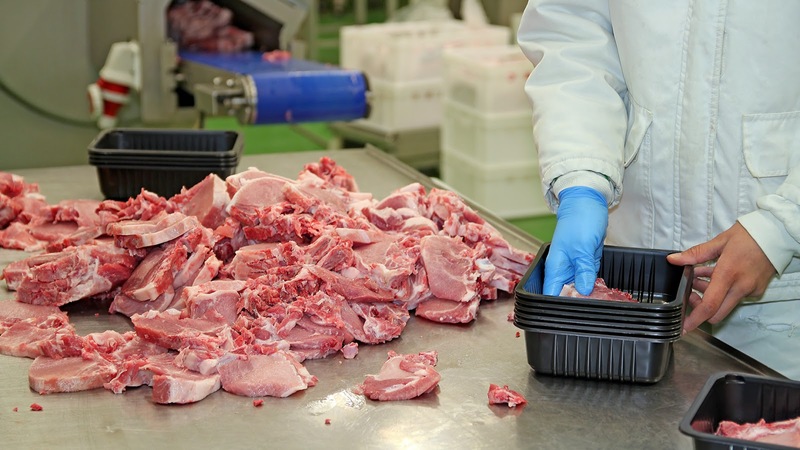 Of all the environmental and heath issues, food safety commands the most urgent attention from authorities when regulations are found to have been broken. Recently in China, there have been several food safety scandals resulting in huge financial losses and reputation damage to the country and its food exporting sector. The climax occurred in July 2007 when it was announced that the former head of the State Food and Drug Administration, Zheng Xiaoyu, accepted bribes in exchange for issuing state food product safety licenses. He was subsequently executed in accordance with China's tough official stance on corruption. Prior to this, there had been a number of scandals involving the food sector. Jinhua Ham was found to have been treated with a poisonous pesticide before sale (2003); the production of counterfeit baby food formula which led to the death of around 80 babies hundreds of cases of severe malnutrition in 2004; and most recently in 2008, contaminated baby formula produced by the Sanlu Group led to an occurrence of kidney disease with numerous casualties. The fact that the Chinese State Food and Drug Administration (set up in 2003 to take control of food safety issues) was itself the target of investigation for corruption has led to a resurgence in the uptake of third-party audited standards for food safety in the country. Foreign importers from China do not trust Chinese national standards and are demanding exporters adhere to international standards such as ISO 22000 inspected by global certification bodies. Similar incidents have occurred in Japan, most notably with the Snow Brand dairy company, which was found to have falsified food safety records in the wake of a tainted milk products scandal in 2002. Most nations have a government authority to manage those issues from production to sale to consumers. They advise on national legislation and deliver food safety requirements for home-produced and imported goods. These include the Food Standards Authority in the UK, the US Food and Drug Administration, as well as the State Food and Drug Administration of China. At the EU level, the Eropean Food Safety Authority (EFSA) conducts risk assessments on food safety in cooperation with national governments and provides independent advice and communication on current and emerging risks. The HACCP (Hazard Analysis and Critical Control Points) guidelines published by the United Nations Food and Agriculture Organization are a fundamental part of the important food safety standard being developed by the International Standards Organization (ISO), ISO 22000. There are seven HACCP principles that must be followed. 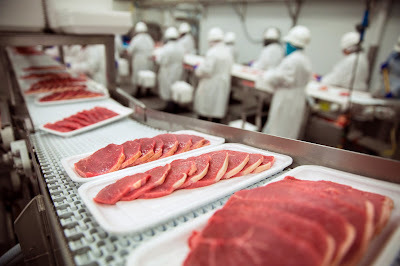 These dictate that food producers must conduct a pre-production hazard analysis to identify and address biological, chemical or physical issues that make food unsafe for human consumption; establish good safety monitoring systems; and implement comprehensive documentation procedures. The application of HACCP principles and procedures are mandatory in the US for food products including meat, juice and seafood, and they are generally applied elsewhere as the basis for third-party food safety certification. As shown by the China examples, Food Safety certification is absolutely critical for food retail and international trade. Without it producers and suppliers cannot sell their goods. 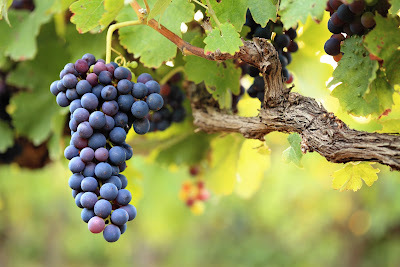 There is significant business and reputation risk attached to how certification is obtained and it is advisable to get certified to well-recognized standards awarded by reputable third-party certification bodies. Launched in 2005, the ISO 22000 is already one of the best recognized international food safety standards. It provides for food safety management systems for any organization, regardless of size, involved in any aspect of the food chain. To meet the standard an organization must demonstrate its ability to effectively control food safety hazards in order to ensure that food is safe at the time of human consumption. It incorporates the HACCP principles outlined above. Prior to the ISO standard, the BRC (British Rail Consortium) Global Standard for Food Safetywas established and is trusted by leading global retailers to deliver effective supply chain management and legal compliance. The Global Standard is part of a group of product safety standards, together enabling certification of the entire food supply chain, and was the first standard in the world to be approved by the Global Food Safety Initiative (GSFI). Formerly called EurepGAP, GLOBALGAP sets voluntary 'pre-farm-gate' standards for the certification of agricultural products and Good Agricultural Practices. Standards are awarded by approved third party certification bodies in over 75 countries. GLOBALGAP is a business-to-business label and is therefore not directly relevant to consumers. Other leading standards, more on the ethical side of food production, are the US based Food Alliance Certification and SQF Certification. 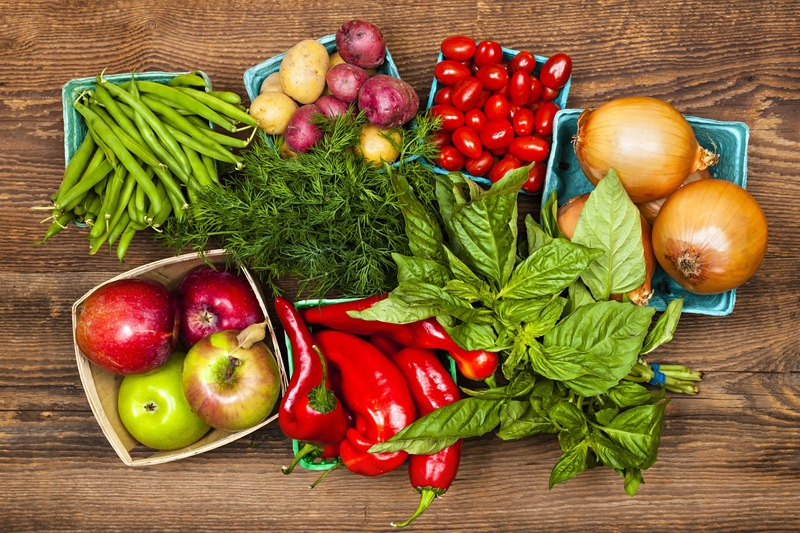 Food Alliance Certification is given to North American sustainable food products that cover issues such as the humane treatment of animals and the exclusion of hormones, non-therapeutic antibiotics, GM crops or livestock and certain pesticides as well as soil and water protection at farm/ranch level. SQF (Safe Quality Food) Certification is awarded by licensed certifiers globally and provides independent certification that a supplier's food safety and quality management system complies with international and domestic food safety regulations. SQF certifications have been awarded to thousands of companies operating in Asia-Pacific, Europe, the Middle East and North and South America. Closely related to the protection of the product - actually the reason for the protection of the product - is the safety of the consumer. The FSMA referred to above contained major reforms to food safety laws, stemming from statistics showing that literally millions of people in the United States get sick from diseases stemming from food. By choosing packaging that won't leach chemicals or speed the deterioration of the food, packagers are protecting both the product and the consumer. Of course, packages can also be hazardous to the consumers in other ways as well. Those producing food products need to think about how easy the package is to open, the stability of the container, the possibility of a broken package causing physical injury and other possible safety concerns. Bottom line, the safety of the consumer lends to the safety and reputation of the business. Do you know what an HACCP food safety guideline is all about? The letters stand for Hazard Analysis Critical Control Points and it is used in locations such as hospitals, schools, restaurants, and the food industry in general to keep the food being served as safe as possible. 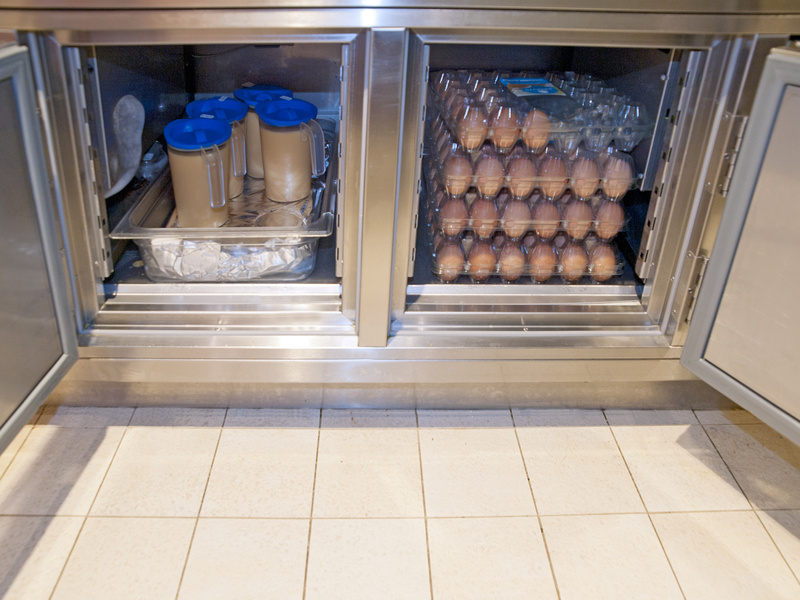 While there are many standards, and often it differs depending on your location, when it comes to HACCP, your required food safety management system is increased or reaches a new level. It is enforced the world over but more primarily by the United States of America through its Food and Drug Administration (FDA), its Department of Agriculture, and also by the space agency NASA. The latter makes use of HACCP to make sure that their astronauts are given only highly nutritious and safe foods to help in maintaining their good physical condition. So if it is good for the astronauts then it must also be good for the rest of the population. There are seven main principles being followed with an HACCP food safety standard. The main idea behind these principles is to avoid any chances of food contamination as much as possible. It is therefore stressed that prevention is more important than post detection because with the latter the problem has already happened. The analysis for potential hazards. Any potential hazards are identified including the steps needed to control them. There are many types of hazards, it can be physical like a speck of dust or a piece of broken glass or it can be chemical such as a toxin. Determine the critical points during the food production and service. This includes from the shipping of the raw materials to the whole cooking process and up to the point where the food is being served to the consumer. Again any potential hazard is identified during these steps. Identify the standards to ensure that the food is handled ideally. A good example for this is in setting the perfect cooking temperature for red meats to make sure bacteria and other microorganisms are killed during the cooking process. Establish the steps necessary to ensure the critical limits of food preparation are being met. This may include the advisable length of time to cook any food, again to make sure that it is safe to be eaten. Determine what actions should be taken should the critical limits are not maintained or followed. A good example for this is the disposal of the food item instead of trying to save it from being ruined. It is also important to establish a system that will determine that the whole inspection process is working perfectly. This can be as simple as determining that the cooking unit is working fine. Come up with an effective record keeping system to properly monitor the whole HACCP standard. Everything should be documented there from all the hazards that are identified to the recommendations necessary for the proper working of the kitchen or of the food processing system. So there you go. These are the essential principles behind an HACCP food safety guideline which anyone who is responsible for food preparation in any business setting should follow. Get the best consultants in your area to help you in creating the monitoring system that you need. In 2011, the Food Safety Modernization Act (FSMA) mandated HACCP planning across all industry segments, forcing the entire food industry to catch up with the latest safety requirements. Hazard analysis and critical control points, or HACCP, is a preventive approach to safety for the food and pharmaceutical industries. It aims to identify, prevent and reduce possible hazards in the food chain, from production to distribution and storage. Based on risk-assessment, the HACCP approach allows both industry and government to establish and audit safe food production practices. Conduct a Hazard Analysis that involves identifying where the risks of hazards may occur. Determination of Critical Control Points (CCP). CCP are points, steps or procedures at which control can be applied and a food safety hazard can be prevented, eliminated or reduced to acceptable levels. Establish critical limits. Determine the maximum and minimum value by which hazards are controlled. The critical limit is usually a measure such as time, temperature, pH or weight. Determination of processes for monitoring the CCP in order to ensure they remain within critical limits. Determination of corrective actions in case the monitoring shows that the CCP is not within the limits. Determination of procedures for verification. This principle determine the effectiveness of the HACCP plan. Record keeping. 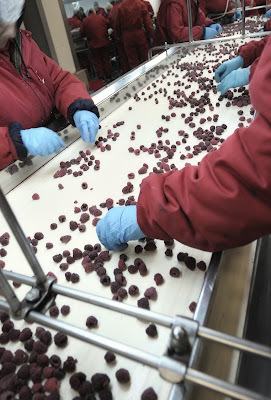 Information about the HACCP plan, procedures and critical limits must be recorded. The most important thing about HACCP is that it is a preventive approach to controlling food hazards and not a product quality one. Food businesses are legally obligated to put in place, implement and maintain a permanent procedure based on HACCP principles. As one of the leading economies of the world with all-round development; the US attaches an extremely high degree of importance to food safety. 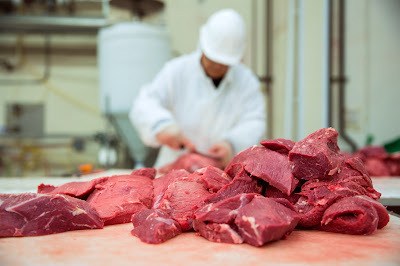 Since large sections of the diverse population eats food that is prepared from various sources; the public has a tendency for contracting foodborne illnesses. These illnesses are a major worry for US health authorities, since close to 50 million people -an alarmingly high rate of nearly a sixth of the entire population -gets affected by foodborne illnesses every year in the US, resulting in hospitalization for at least a 100,000 of them. A few thousand people are also known to die in the US due to foodborne illnesses. Realizing the need for tackling this problem on a large scale, the American Congress enacted the FSMA on December 21, 2010. The main thrust of this legislation is that it shifted the responsibility of federal regulatory bodies like the FDA from being mere regulators to agencies that contain outbreaks of contamination by responding to such situations. By far, the most important aspect this new Act has introduced is that it gives the FDA the authority to mandatorily recall any food product. 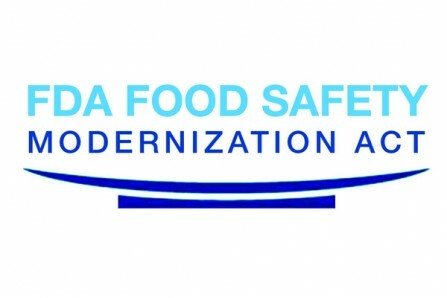 The FSMA is an important piece of legislation that empowers the FDA to take preventive and corrective action on food contamination. It gives the FDA legislative authority to prevent and rectify food contamination across the US. As a result of this legislation; the FDA focuses on taking preventive steps to contain contamination by requiring food facilities across the US to evaluate hazards in their operations and then take effective contamination control measures. These facilities are required to have a plan ready in place to take corrective actions whenever necessary. The FSMA also empowers the FDA to take science-based standards to produce and harvest vegetables and fruits, so that illness can be contained at another extremely important source. It makes food companies accountable for the steps they take to prevent contamination from fruits and vegetables. This is a unique step that aims to modernize the food supply chain. With the passage of this Act; the FDA has made inspection an important aspect of its efforts. Since industry is now held accountable for the quality of the food products it produces; FDA will take a two-pronged strategy: First, it will apply its own inspection resources in a risk-based manner. Second, it will take steps to make its existing inspection resources more effective by taking steps to this effect. It is with food entering the US from other countries that the FDA needs to exercise maximum alert. A seventh of all the food consumed in the US is from outside. The FSMA mandates a high degree of monitoring on these. 4. The FDA can offer incentives to those producers who show high quality in their produce.